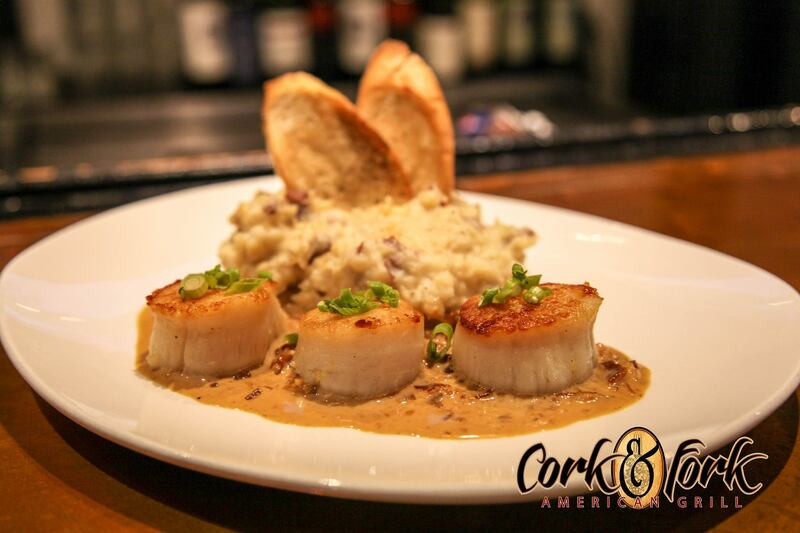 Diver scallops with a bacon micro-brew cream reduction, scallions, garlic mashed potatoes, and a toasted baguette. 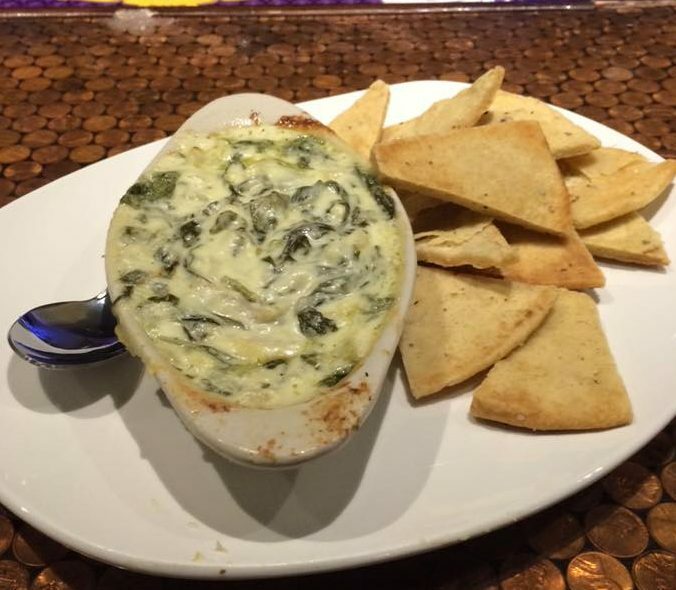 House made dip, served warm with pita or tortilla chips. Classic chick-pea hummus served with cucumber slices and pita chips (sub for tortilla chips for GF). 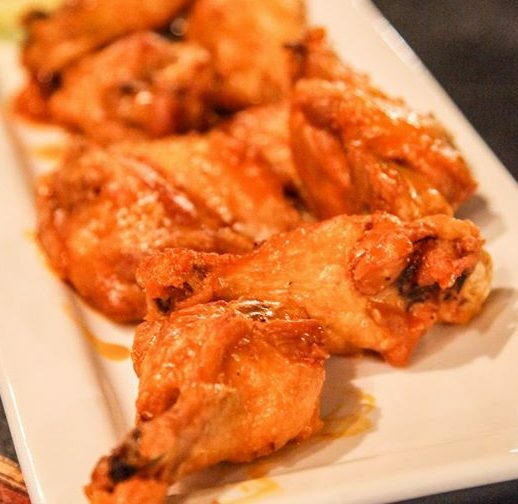 10 wings tossed in your choice of sauce: hot, mild, BBQ, teriyaki, or dry. 10 wings tossed in your choice of sauce: hot, mild, BBQ, teriyaki, or dry. Fried, crispy calamari with cherry peppers and jalapeños. 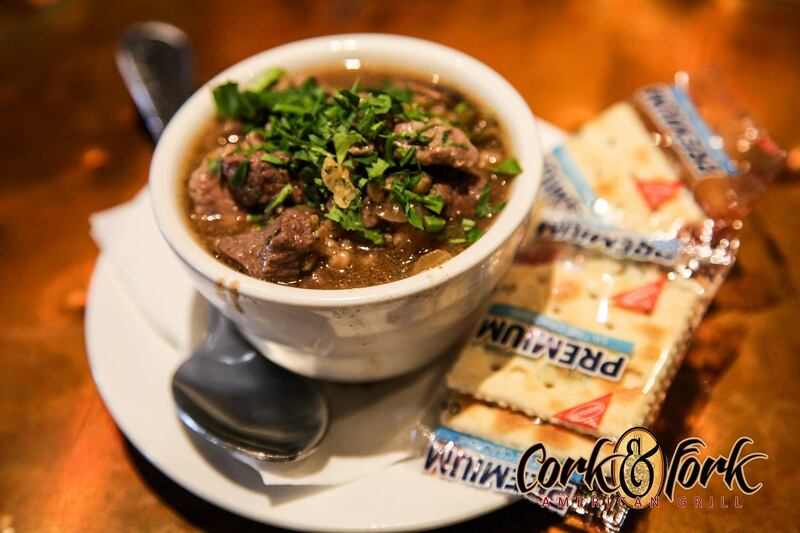 Served with a citrus chile dipping sauce. Served with a garlic and yogurt dill sauce. House-made, hand-cut onion rings are and served with a creamy lager fondue. Ginger glazed shrimp, tossed with scallions, teriyaki, and sweet chili sauce. Herbed-panko fried goat cheese, served with a sun-dried tomato jam and a toasted baguette. Chopped romaine lettuce, topped with bacon and bleu cheese. Fresh, mixed greens with dried cranberries, mild goat cheese, caramelized onions, and sunflower seeds. Tossed in a homemade vinaigrette dressing. English-style beer-battered cod with french fries and coleslaw. 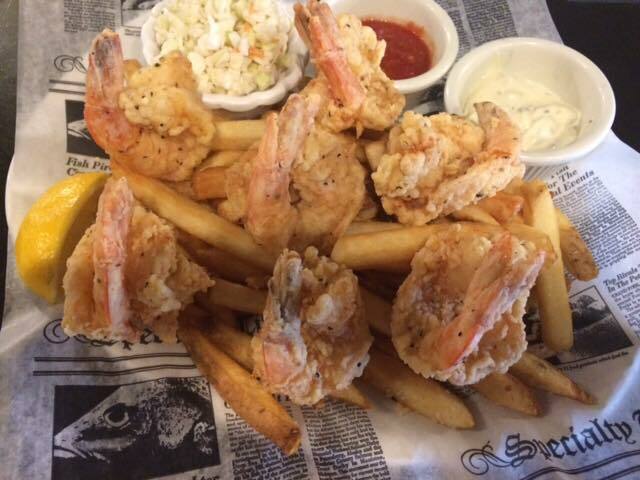 Served with your choice of tartar sauce or malt vinegar. 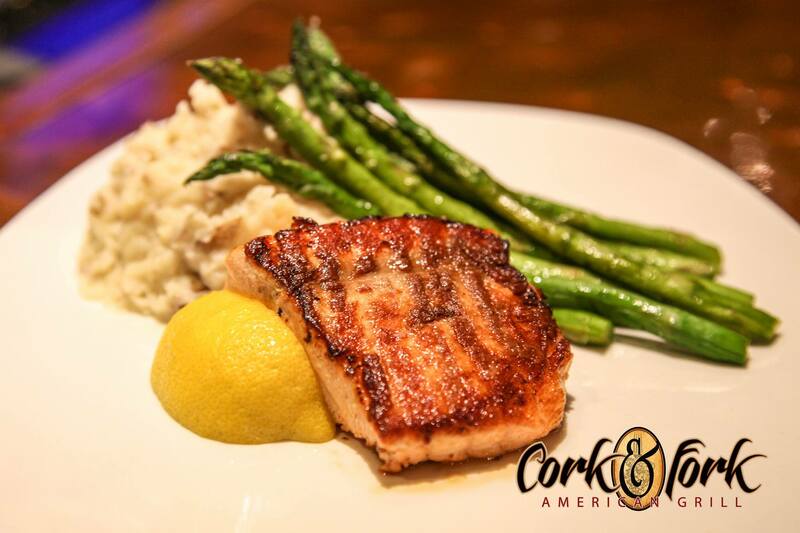 Pan seared Salmon filet served with asparagus and garlic mashed potatoes. BATTERED SHRIMP WITH FRIENDS, SLAW, AND COCKTAIL SAUCE. Fettuccini pasta tossed in a creamy Cajun Alfredo sauce with spiced shrimp, tomatoes, and onions. fresh seasoned haddock with rice and vegetables. Bone-in chicken breast with a pan-herbed au jus. Served with garlic mashed potatoes and the vegetable of the day. Breaded chicken breast, baked with Parmesan cheese and served over thickcut spaghetti with marinara sauce. Fresh eggplant, baked with Parmesan cheese served over thick-cut spaghetti with marinara sauce. Chicken breast covered in a creamy marsala sauce and mushrooms on a bed of fettuccini. Best cut steak, served with french fries and the vegetable of the day (ask your server for specifics). Ale and cracked pepper marinated pork served with brussel sprouts and garlic mashed potatoes.